Trip to Chelsea. It's Me, J.Marie. Tying up some ends for this Vegas trip in the morning, I took a trip to the Apple store in Chelsea to get a new charger for my MacBook. I have a video conference for work this coming Saturday while in Vegas, and I can not afford to have my charger decide to not charge my Mac when my boss calls me. 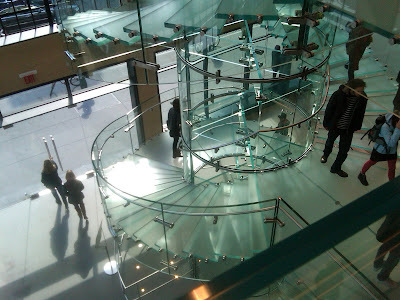 Not only was this the largest Apple store I've ever seen, but this amazing 3-story winding glass staircase was breathtaking! I have never seen an Apple store this beautiful, full of people on every floor who were willing to do whatever they could to please their customers. 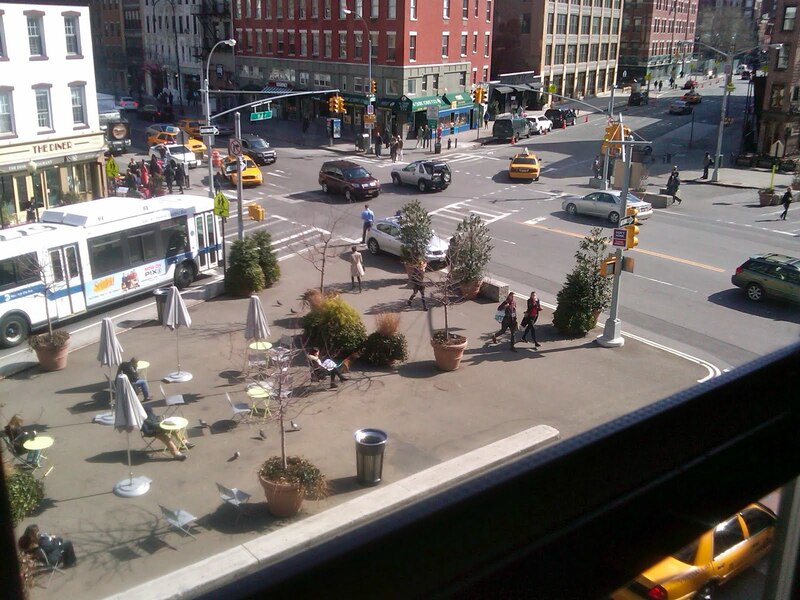 As I waited on the 3rd floor, I snapped a picture of the people outside enjoying the beautiful weather. There was a tiny little resting area in the middle of the street, and everyone around seemed to not have a care in the world as they left Starbucks, delis, and the Apple store and enjoyed one of the many luxuries of Manhattan life. After getting my new charger, I decided to get lost in Chelsea, not keeping track of where I walked as I turned down any block that interested me. It's by far one of my favorite parts of Manhattan! I'm finally cleaning my room, doing laundry, finishing up the last of the packing, and getting some rest before waking up for an early flight!